With a high fidelity stereo system possessing good bass response, some of the infrasonic qualities will come through, thus adding to the trancey and hypnotic effect of the work. It is my feeling, based on some study of infrasound, that what one hears as a cat’s purr is only part of the spectrum of sound actually being generated, much of it below the threshold of conscious hearing, in the infrasonic range. This album was created for, and is dedicated to Aria Nadii, who listens to it every night, and with whose blessing I am making it available to you. This entry was posted in C.P. McDill, Catalog and tagged ambient, Aria Nadii, C.P. 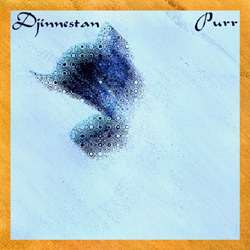 McDill, Catalog, djinnestan, Releases by C.P. McDill. Bookmark the permalink.